The gene for miR-15a is located on the chromozome 13q14. Functional studies have reported that miR-15a positively regulates pancreatic β-cell function and insulin synthesis and negatively affects adipogenesis. It was also shown that miR-15a is increased in plasma of diabetic patients, correlating with disease severity. 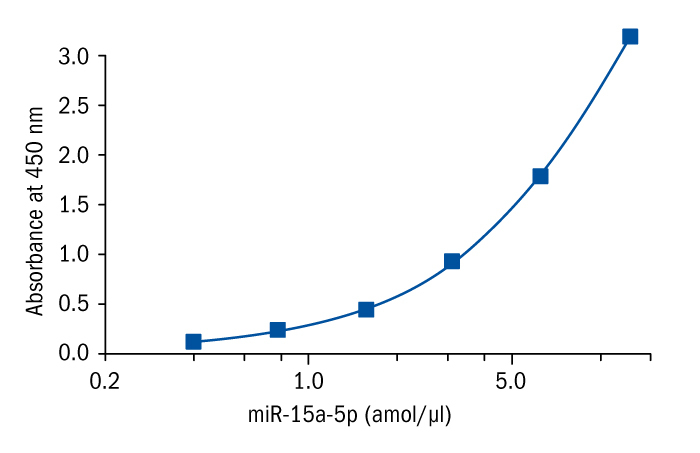 miR-15a is downregulated in many types of cancer, including prostate cancer, colorectal cancer, hepatoma, prostate cancer, chronic lymphocytic leukemia, nasopharyngeal carcinoma, malignant melanoma, human brain glioma and breast cancer. It acts as a tumor suppressor, promoting apoptosis and inhibiting cell proliferation by targeting multiple oncogenes, including Bcl-2, Mcl1, CcnD1 and Wnt3A. Besides cancer, circulating miR-15a is downregulated in patients with ST-segment elevated myocardial infarction, compared to healthy controls. Sun, Liang-Liang, et al. "MicroRNA-15a positively regulates insulin synthesis by inhibiting uncoupling protein-2 expression." Diabetes research and clinical practice 91.1 (2011): 94-100. Kamalden, Tengku Ain, et al. "Exosomal MicroRNA-15a transfer from the pancreas augments diabetic complications by inducing oxidative stress." Antioxidants & redox signaling 27.13 (2017): 913-930. Bonci, Désirée, et al. "The miR-15a–miR-16-1 cluster controls prostate cancer by targeting multiple oncogenic activities." Nature medicine 14.11 (2008): 1271. Kontos, Christos K., et al. "miR-15a-5p, A Novel Prognostic Biomarker, Predicting Recurrent Colorectal Adenocarcinoma." Molecular diagnosis & therapy 21.4 (2017): 453-464. Liu, Bo, et al. "MiR-15a suppresses hepatocarcinoma cell migration and invasion by directly targeting cMyb." American journal of translational research 9.2 (2017): 520. Terzuoli, Erika, et al. "Linking microsomal prostaglandin E Synthase-1/PGE-2 pathway with miR-15a and− 186 expression: Novel mechanism of VEGF modulation in prostate cancer." Oncotarget 7.28 (2016): 44350. Zhu, Kang, et al. "MicroRNA-15a inhibits proliferation and induces apoptosis in CNE1 nasopharyngeal carcinoma cells." Oncology Research Featuring Preclinical and Clinical Cancer Therapeutics 24.3 (2016): 145-151. Shinden, Yoshiaki, et al. "Diminished expression of MiR-15a is an independent prognostic marker for breast cancer cases." Anticancer research 35.1 (2015): 123-127. Tong KL, et al. "Circulating MicroRNAs in Young Patients with Acute Coronary Syndrome.” International journal of molecular siences 19.5 (2018).